Save and print even more when you shop with LD Products! 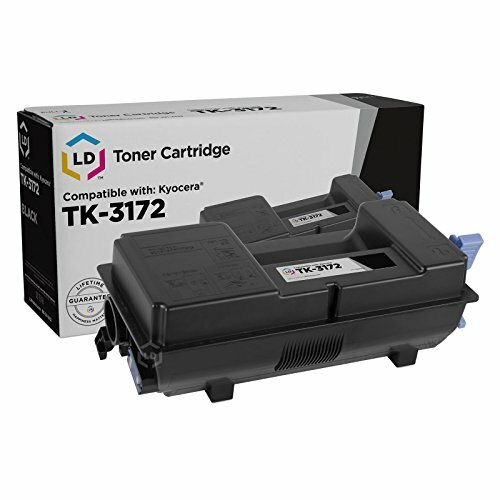 This offer includes (1) TK-3172 / 1T02T80US0 black laser toner cartridge. Why pay twice as much for brand name Kyocera toner when our compatible printer supplies are backed by a 100% satisfaction and LIFETIME guarantee This toner cartridge is compatible with Kyocera ECOSYS P3050dn printers. Please note, retail packaging may vary and this cartridge will only work with printers purchased within the United States and Canada. The use of compatible printing supplies does not void your printer warranty. We are the exclusive reseller of LD Products brand of high quality printing supplies on Amazon.